Marcus Hutchins at his workstation in Ilfracombe, England UK. He was arrested in Las Vegas after attending an annual hacking conference. The Guardian, 8 August 2017. 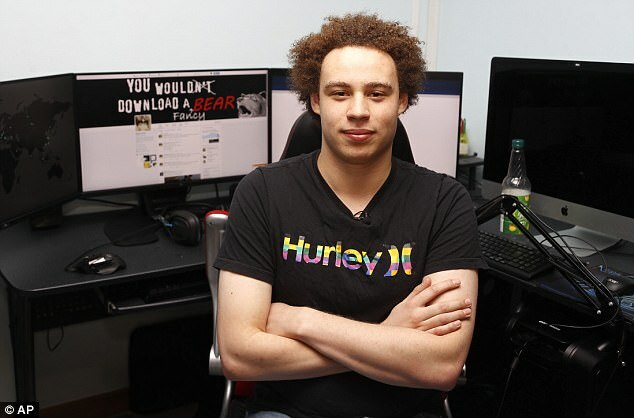 Marcus Hutchins, the 23-year-old British security researcher who was credited with stopping the WannaCry outbreak in its tracks by discovering a hidden “kill switch” for the malware, has been arrested by the FBI over his alleged involvement in another malicious software targeting bank accounts. A public defender noted that Hutchins has no criminal history and has cooperated with federal authorities in the past. The court-appointed attorney said Hutchins needed more time to hire a private attorney. Hutchins, who asserted his fifth amendment right to remain silent, was ordered to remain detained until another hearing on Friday. His mother, Janet Hutchins, told the Press Association it was “hugely unlikely” that her son was involved because he has spent “enormous amounts of time” combating such attacks. She said she was “outraged” by the charges and has been “frantically calling America” trying to reach her son. At the courthouse, a friend of Hutchins who declined to give his name, said he was shocked to hear about the arrest. The marketplace was shut down on 20 July, following a seizure of its servers by US and European police including the FBI and the Dutch national police. FBI acting director Andrew McCabe said AlphaBay was 10 times as large as the notorious Silk Road marketplace at its peak. When the site was taken down, its servers were seized, giving authorities a window into activity on the site. The operation included the arrest on 5 July of of suspected AlphaBay founder Alexandre Cazes, a Canadian citizen detained on behalf of the US in Thailand. Cazes, 25, died a week later while in Thai custody. Security researcher Ryan Kalember, from Proofpoint, says that the Kronos malware was notable for being a particularly slick, and expensive, offering. “It had nice remote administration, with a dashboard panel, and it was quite good at evading attention by antivirus products,” he said. It was sold on malware forums for prices of up to $7,000 (£5,330), according to Kalember; the indictment against Hutchins lists prices of $2,000 (£1,523) and $3,000 (£2,284). On June 13, a video demonstrating the Kronos malware was posted to YouTube, allegedly by Hutchins’ co-defendant (the video was taken down shortly after Hutchins’ arrest). That same day, Hutchins tweeted asking for a sample of the malware to analyse. 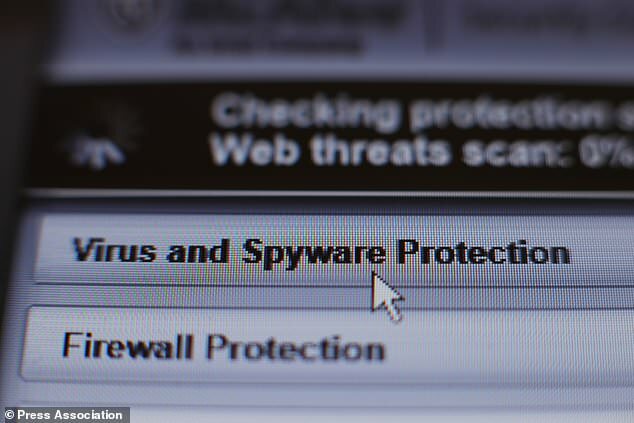 The security researcher became an accidental hero in May when he registered a website, which he had found deep in the code of the ransomware outbreak that was wreaking havoc around the world, including disrupting operations at more than a third of NHS trusts and bodies. Computer virus Hutchins, also known as MalwareTech, was hailed a hero in May this year when he found a “kill-switch” that slowed the effects of the WannaCry “ransomware” virus that hit more than 300,000 computers in 150 countries. When WannaCry first appeared, in early May, it spread rapidly, infecting hundreds of thousands of computers worldwide in less than a day, encrypting their hard drives and asking for a ransom of $300 in bitcoin to receive the decryption key. It moved particularly quickly through corporate networks thanks to its reuse of security exploit, called EternalBlue, first discovered by the NSA before being stolen and leaked by an allegedly Russian-linked hacking group called The Shadow Brokers. Both US and UK intelligence agencies later linked the malware outbreak to North Korean state actors, who have become bolder in recent years at using cyberattacks to raise revenue for the sanction-laden state. Hutchins was recently given a special recognition award at cybersecurity celebration SC Awards Europe for halting the WannaCry malware. The malware ended up affecting more than 1m computers, but without Hutchins’ apparent intervention, experts estimate that it could have infected 10-15m. Hutchins’ employer, cybersecurity firm Kryptos Logic, had been working closely with the US authorities to help them investigate the WannaCry malware. Hutchins handed over information on the kill switch to the FBI the day after he discovered it, and the chief executive of the firm, Salim Neino, testified in from of the US House of Representatives Committee on Science, Space & Technology the following month.